A Review AND a Bonus Podcast! I was invited to co-host a relatively new podcast called Pop Cult Net produced and hosted by James Baker (not the White House Chief of Staff under President Ronald Reagan.) In the show, James looks at the latest news in movies, tv shows, gaming, anime, comics and everything else in Pop Culture. 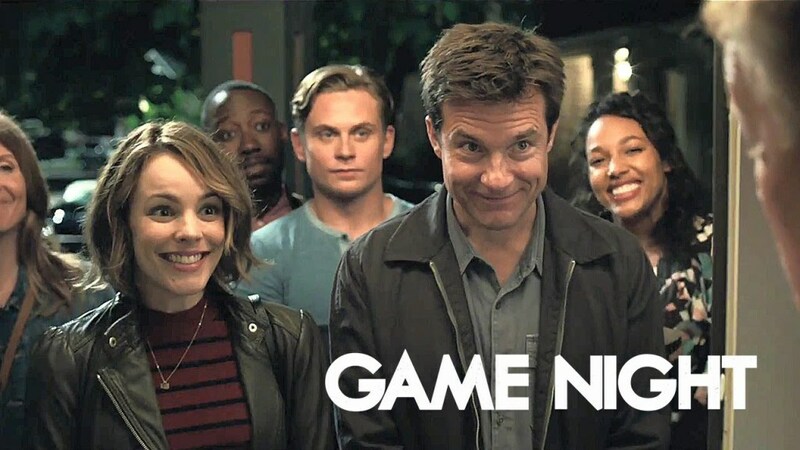 The first time i saw the preview for Game Night, I was hooked. We’re talking an hour and a half of good clean fun. Jason Bateman did a great job of playing Jason Bateman. That is to say he doesn’t stretch much as an actor, but he doesn’t have to. He may play same character in all his roles but he is great at it and I love his dry delivery. I was super impressed with Rachel McAdams. Don’t get me wrong, I think she is an excellent actress and love her in everything. I just didn’t know she could pull off funny so well. It was Jesse Plemmons (Friday Night Lights) that proved be the biggest surprise. His portrayal of the creepy police-officer neighbor cracked me up every minute he got screen time. Another Friday Night Lights veteran, Kyle Chandler did a great job as the foil to Bateman. Heck, I could go on and on about the cast because each and every one was great. This film is an absolute blast of an adult comedy that doesn’t feel the need to resort to lowbrow or blue humor. The writing by Mark Perez, the direction by John Francis Daley and Jonathan M. Goldstein combined with a top-notch cast creates an outing that is sure to be as much fun if not more than any real game night you attend. NextA Lifetime of Hip Flexor Abuse – corrected? Podsafe Albums you MUST own! !